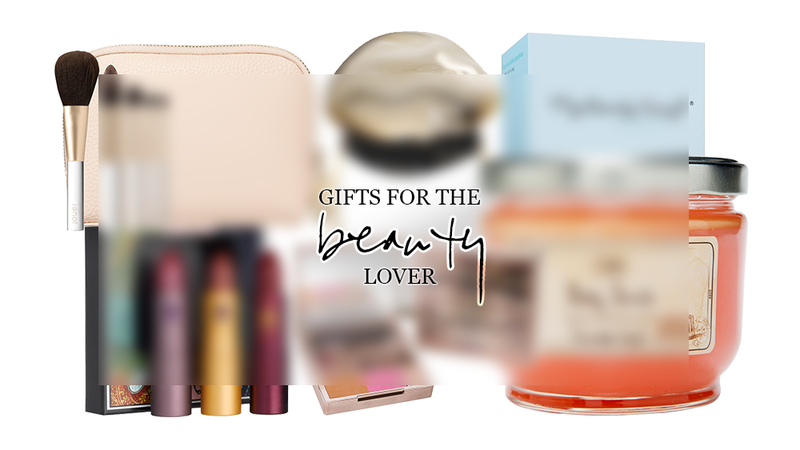 Last but not least is the gift guide for beauty lovers! I've chosen products that I think any beauty lover would appreciate since it's a mix of new items, limited editions, and beauty staples. If you want to stick to safe gifts, I think any body product such as a scrub, shower gel, or body butter is always appreciated. However, for a more unique (but highly affordable) gift that I think every beauty & makeup lover would love, click through the jump and check out item #5! 1. Lipstick Queen Discover Kit: A cult favorite brand among beauty product enthusiasts. With great packaging and unique colors, Lipstick Queen is surely a brand that any beauty lover would like! This trio of lipsticks are the brand's best selling shades. 2. Alexis Bittar & Sephora Limited Edition Compact Mirror: Alexis Bittar makes beautiful jewelry, so it makes sense that he would collaborate with Sephora to make gorgeous beauty accessories! Besides this chic compact mirror, there are also limited edition brushes within the collection. 3. Sabon Lavender Apple Sea Salt Body Scrub: This stuff makes your body smell amazing after a shower. Your body really soaks in all the oils and the scent lasts throughout the whole day. Lavender apple is my personal favorite scent! It definitely transforms the shower into a mini spa session. 4. Urban Decay On the Run: All the products you need for a full made up face in one reasonable sized palette? That's exactly what Urban Decay's new On the Run makeup palette is! It definitely makes traveling with makeup a whole lot easier. 5. My Beauty Diary Hyaluronic Acid Sheet Masks: At under $15 a box for 10 sheet masks and more than a dozen different types of targeted treatments, My Beauty Diary masks make perfect gifts. Surprisingly as well, many western brands have yet to jump on the affordable sheet mask wagon, so your chances of this already being in your giftee's beauty closet are unlikely! 6. Jouer Le Petit Brush Set: How chic is this brush set?! The Jouer Petit Brush Set comes with a traveling case and five brushes that you can use to create an entire look. If your giftee travels often, this could be just the thing she needs.